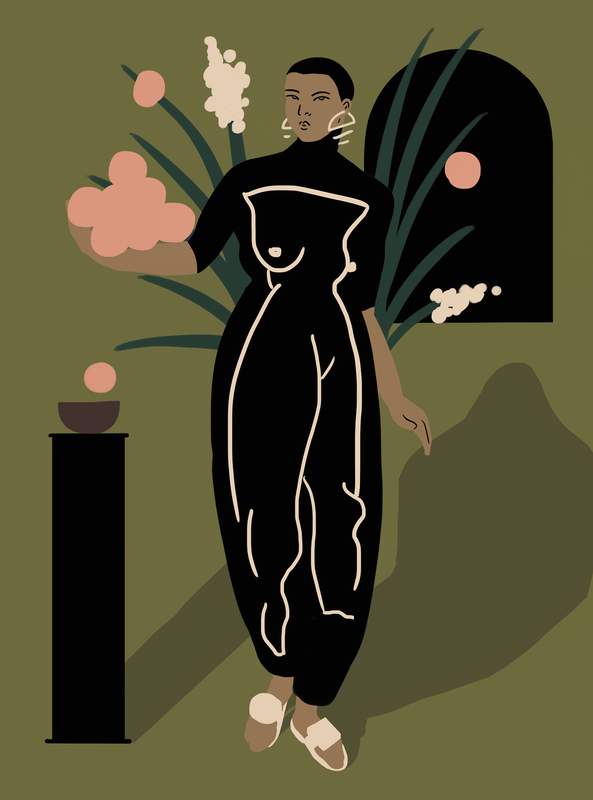 Daiana Ruiz is an Argentinian illustrator based in Buenos Aires whose distinctive style and use of colour is immediately recognisable. With a background in multimedia design and list of clients including Riposte Magazine, Nylon and Rolling Stone, Ruiz seems to have developed a solid style of her own, with a heavy focus on the female form. We talk to the illustrator about her favorite spots in Buenos Aires, how she approaches commissioned work and what she has in store for the future. "I'm from Argentina, I was born and raised in a suburb area near Buenos Aires. As I started studying multimedia design I started working as well so I ended up moving to Buenos Aires where I am now, in a neighborhood called Montserrat, one of the oldest in the cities. I've aways been leaning to art, but only these days I feel confident about what to say and how. My mom always supported and encouraged me to do creative activities. She used to spend a lot of time at home due to medical reason, so we had plenty of time to draw and paint together." "The creative scene in Buenos Aires is very extensive and cover all creative expressions. We have a rich cultural mix and that´s reflected in the artists work. Some great places to visit in Burenos Aires are The Botanical Garden, The Japanese Garden, Usina del Arte, La Abadia Center for Art and Latin American Studies, Bellas Artes Museum, MAMBA, Kirchner Cultural Center, among others." With a lot of her illustrations focused on the female form, Ruiz has certainly formed a style from her eye-popping color palette to incorporating shapes in her drawings. We spoke to her more about distinguishing her style and what her creative process is like when it comes to working on projects for clients. "I think the style itself is very personal and it's something that you don´t look for, maybe it doesn't come easy...but it's there. I don't know how describe my style, somebody once described it as optimistic and I like how that sounds. Luckily I always worked with wonderful clients, they give me the opportunity and the freedom to express myself in each collaboration. Some concepts are easier to illustrate than others, but I like to take time to investigate, find references, and talk with friends about it." "I'm starting an editorial project with some friends. Using screen printing process we would like to print our artworks and also edit some illustrators who we admire. I'm learning the techniques and it's very exiting. I would like to keep representing strong women who hold the world."